Cubs Consulting, Inc. introduces an integrated and secure way to accept Credit Card and ACH Check Payments with this new Collector System (TCS) module. Working with PaymentVision, this module allows you to accept credit card and ACH payments through our real-time interface with PaymentVision. Now you can schedule recurring payment arrangements on accounts directly from The Collector System. 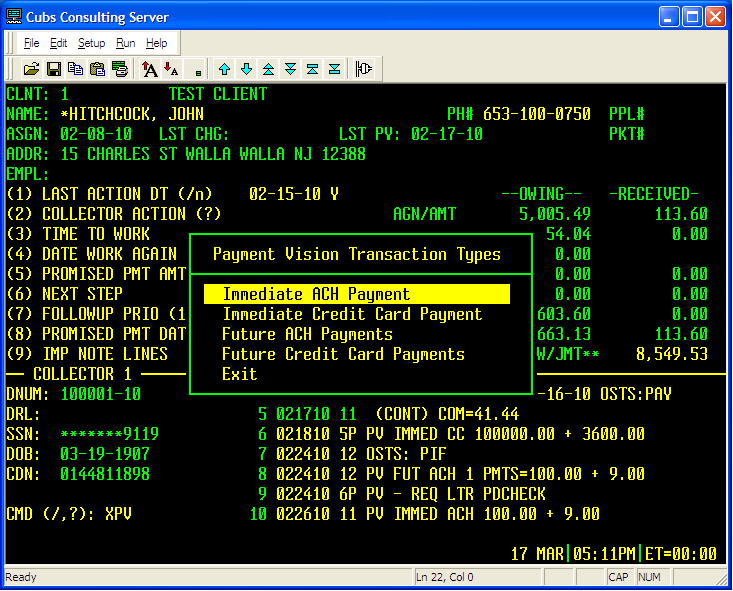 Take credit cards and ACH checks directly from the TCS collector screen. 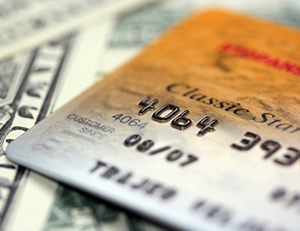 Transactions can be immediate payment and/or multiple future dates. Apply ‘convenience fees’ per your agency parameters. Works on the terminal emulator your collectors are already using.